In an article titled “Japan’s Most Interesting Newspaper is for Recluses, by Recluses,” the website Atlas Obscura reports on a Japanese newspaper addressed to and run by hikikomori, the young urban recluses of Japan. The 82-year old Japanese hermit Nasafumi Nagasaki, living on a deserted island for 29 years, was first noted in this blog in March 2014. News.au.com is the first source with an update. But suddenly Nagasaki is no longer on his beloved island. He was apparently observed by an island passerby to be weak and sick and he was removed by authorities to the nearest city of Nishigaki, where he now lives in government housing. He was, perhaps, temporarily ill, but then fully recovered, nevertheless authorities will not allow him to return. The government has allocated ¥20 million from the fiscal 2018 budget to finance research for Japan’s first nationwide survey on middle-aged hikikomori — people who have shut themselves in their homes. The survey, to take place in fiscal 2018 starting April 1, will be held amid growing calls for public assistance to help aged parents take care of their jobless, financially dependent and socially withdrawn children. The survey will cover 5,000 randomly selected households with members aged between 40 and 59, to identify the total number of middle-aged social recluses in Japan. Nippon.com offers an informed view of Japanese recluses by a psychiatrist working directly with hikikomori, offering definitions, descriptions, and communication and work issues. The government has decided to expand the scope of its job support program for socially withdrawn people, which is limited to those 39 or younger, to include people in their early 40s. Many people aged 40 to 44 have been living as hikikomori (recluses) who shut themselves in at home, or NEETs, an acronym for “not in education, employment or training,” because of the hardships they suffered during Japan’s “employment ice age,” the officials said. 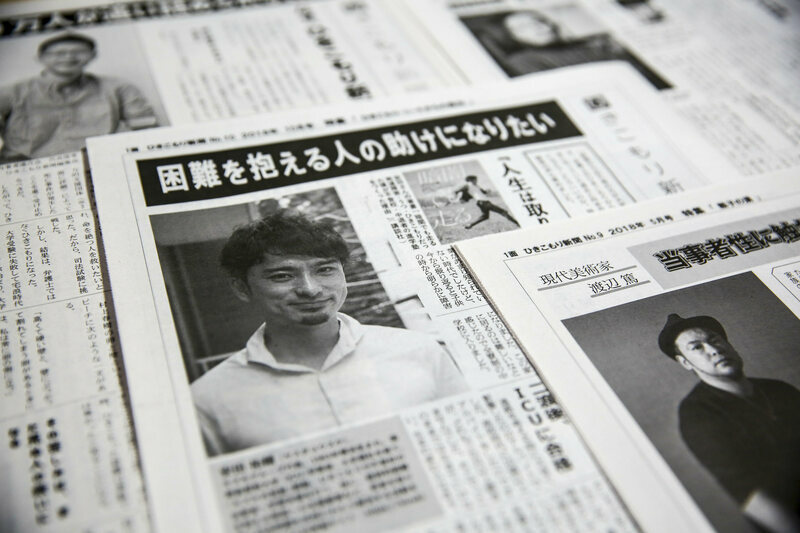 A Quartz article titled “Japan’s extreme recluses are coming together to create a newspaper for social outcasts” describes the creation of Hikikomori News in Tokyo by a disparate group of hikikomori. Includes links and photos.